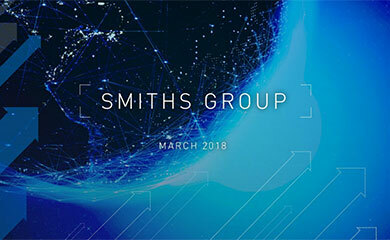 Smiths Group plc (Smiths) and General Electric Company (GE) announce that they have signed a letter of intent (the Letter of Intent) to form Smiths GE Detection (the JV). Smiths will own 64% and GE will own 36% of the JV. The JV will combine Smiths Detection with GE Homeland Protection to create a leading global business serving the fast-growing detection and homeland protection markets. 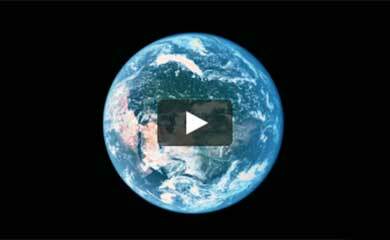 Smiths GE Detection will offer a broad range of technologies to deliver integrated solutions to meet the rapidly evolving requirements of governments and other customers globally. By combining each parents technological capabilities and the research and innovation resources available at GEs Global Research Center, Smiths GE Detection will be well positioned to deliver the next generation of technologically advanced detection and homeland protection equipment worldwide. The board of the JV will be chaired by Keith Butler-Wheelhouse, the Chief Executive of Smiths, and will consist of four Smiths and two GE representatives. The JV brings together two outstanding management teams and will be led by Stephen Phipson, currently Group Managing Director of Smiths Detection, as its first President. Smiths and GE will now move to signing definitive agreements as soon as practicable based on the principles set out in the Letter of Intent. Smiths and GE have agreed to an exclusivity period in which to reach a final agreement in relation to the JV. The parties view this as a long-term commitment, with no voluntary exit rights for the first five years. It should be noted that the provisions of the Letter of Intent do not allow for GE to call Smiths interest in the JV at any time during the life of the JV, except in the event of a change of control of Smiths within 30 months of completion of the transaction. Following this 30 month period, a change of control event at Smiths will entitle GE to put its interest in the JV to Smiths. Completion of the JV will be conditional, inter alia, on the consent of the Smiths and GE boards, Smiths shareholder consent, certain regulatory approvals and the completion of the sale of Smiths Aerospace Division to GE. Smiths is delighted to be joining forces with GE in a long-term partnership to create a leading global detection business. Our two organisations bring together a wealth of experience in the detection business and a broad range of complementary technologies. 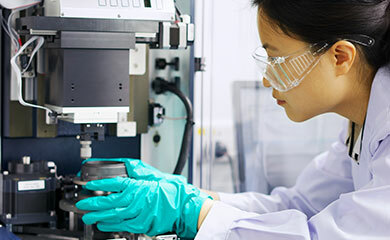 Access to the substantial technology resources and research capabilities of GE will accelerate new product development and help our customers make the world a safer place. We are delighted to bring our detection assets to the Smiths GE Detection joint venture. Under the leadership of Stephen Phipson and the combined executive team, there is no doubt that our complementary capabilities will enable us to bring new enhanced detection solutions to customers more rapidly. We look forward to a long-term relationship with Smiths to create a dynamic and innovative business to serve the growing global detection market. GEs Security business is a wholly owned subsidiary of General Electric Company (NYSE: GE) focused on communication and information technologies for security and life safety solutions. GE Security has more than 6,500 employees with operations in over 35 countries and is represented by some of the best-known brand names for intrusion and fire detection, access and building control, video surveillance, explosives and drug detection, key management and structured wiring. The Homeland Protection business is focused on explosives and narcotics detection and has approximately 730 employees located in the U.S., Europe and Asia.